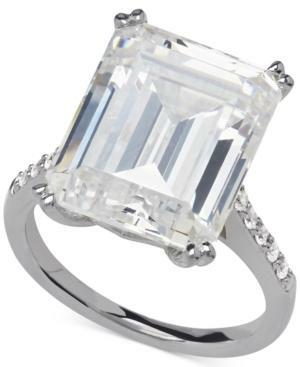 Steal the show with this stunning ring, which features a large, emerald-cut Swarovski zirconia and round-cut Swarovski zirconias at the shoulders (22-7/8 ct. t.w.). Crafted in sterling silver.